View of the north side of the Bond Life Sciences Center illustrating ease of pedestrian access. 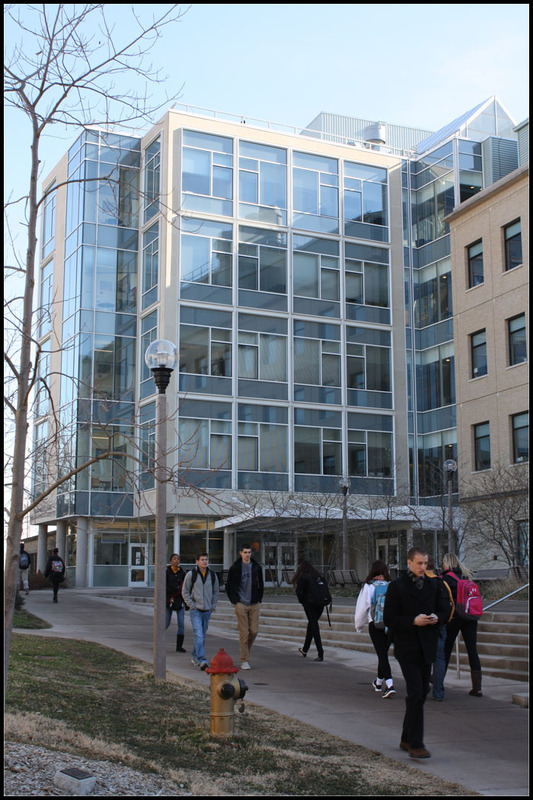 To allow easy access for students, staff, and faculty the Center has no back door. The site of the Center is next to a pedestrian crossroads in the heart of the campus of the University of Missouri. Major east-west and north-south walkways run adjacent to the building. The north-side access was made possible by connecting the main building to its service building with a tunnel in such a way that pedestrian movement around the building is not disrupted. G. M. Chippendale provided leadership for the planning and operations of $65 million Bond Life Sciences Center that opened 2004. He served as Chair of the Planning Committee (1994-99), Interim Director (2000 -03), Senior Associate Director (2004-05), and Interim Director (2005-06).